The multiple benefits of using hypnosis during the distinct phases of your pregnancy, prenatal and postnatal. How hypnobirthing can help you during the birthing experience with pain management and relaxation techniques. Further reading, studies and resource links around hypnosis for pregnancy phases. Pregnancy for a woman should be one of life’s joyous experiences. But too often it can be filled with anxiousness for the soon to be mother. A woman goes through many body and mental changes both before and after pregnancy and it can quickly become overwhelming and spoil the experience . Traditionally, when people talk about hypnosis and pregnancy, they’re focusing on what is generally called hypnobirthing. Hypnobirthing is a birthing method using self-hypnosis and relaxation techniques to help a woman feel physically, mentally and spiritually prepared and reduce her awareness of fear, anxiety and pain during childbirth. While this is obviously an important part of the whole cycle nonetheless hypnosis offers help and support during the time before and after the childbirth event. After all, a woman experiences pregnancy for normally nine months, and then her body is changing back to normalcy for a few months after. People tend to think about hypnosis for helping with giving-up bad habits, such as quit smoking, or eating sugar or unhealthy diets for weight loss. But as popular as these topics are for hypnosis, and many women who smoke look towards quitting when they become pregnant , hospitals and medical professionals look additionally towards hypnosis with helping pain management  and relaxation both before and after surgery. Because of this it’s not surprising hypnosis has become accepted by the medical community for aiding woman with birthing. In this article I want to explore the use of hypnosis in all phases of pregnancy and its viability and help during the important prenatal and postnatal phases and not only during the birthing event. Hypnosis can be a tool for helping women who are pregnant, whether they’re in the early or latter stages of pregnancy. Hypnosis can be beneficial for three very important reasons; maintaining physical comfort, controlling nutritious eating, and supporting optimum emotional health. While pregnant, a woman’s body undergoes many changes. Typically, they’ll be increased weight gain (a woman is after all eating to provide ample nourishment for two), but also hormonal changes as well. If you’ve ever gained any appreciable body weight, not only does your body begin to feel different, but you feel different as well. Added body weight can make an individual feel less energetic, even lethargic because they feel ‘heavy’. Since you feel heavier then you may start to feel more tired, perhaps even sore, thus leading to lethargy. When you get into this feeling, you may begin to lack the ambition to do much, even taking care of yourself physically. It’s important to try to maintain a degree of energy, that’ll encourage you to keep up your physical wellness and comfort. Using hypnosis can help you feel more comfortable in your body by helping you become more aware of the physical changes and sensations. Instead of perceiving added body weight, or ‘pain’ as a deterrent or reason for not engaging in regular routines, hypnosis can be used to teach pregnant women physical changes are a part of the evolution and necessity of pregnancy. It can help foster beliefs and feelings things are normal and on track. Furthermore, hypnosis can ‘distract’ the mind from focusing on unwanted physical discomfort, and instead focus on the positive sensations going on in the body. While under hypnosis, pregnant women can benefit from the cues and post-hypnotic suggestions that’ll lead and guide them into engaging in everyday activities, helping them to feel less lethargic and more ambitious about what they can achieve and perform every day. When you feel ‘extra weight’ on your body, it can naturally make you feel zapped from your energy and strength. This can lead some pregnant women to feel burdened. Hypnosis can help detract from those feelings and thoughts, leading them to want to be more active. When a woman becomes pregnant there is the necessity to eat increased calories of healthy food. Just because someone is pregnant, doesn’t mean they should eat everything they can or want because they ‘feel justified’ in doing so now they’re eating for two! It’s easy for a pregnant woman to gain more weight than they need to, and a lot of this can be due to over-eating, or eating more nutrition-less sugar-laden foods. The occasional ice-cream tub at 2am in the morning isn’t going to crack the scales but occasional can quickly become a habit! Hypnosis can help with food choices. Post-hypnotic suggestions can help the unconscious mind become more deliberate in seeking out healthier foods, becoming conscious of quality of the calories ingested, and creating aversions to eating junk foods. Hypnosis can help with making healthy food choices while not feeling deprived or placing unnecessary limits on calories. There are, after all, plenty of healthy calories out there for you to consume. Gaining weight and eating the wrong kinds of foods can wreak havoc not only on one’s body, but also on mental state. Junk foods have the ability to make one not only feel lethargic, but also can depress the body and central nervous system. Throughout the pregnancy, if a woman is not taking the proper vitamins, or perhaps has been prescribed ‘drugs’, this can also affect moods and emotional health. Many women who are pregnant also struggle with ‘body image’ and some feel the quality of their ‘feminine beauty’ has been compromised. Even though this is quite different from women who suffer from eating disorders (Anorexia Nervosa or Bulimia), there are similarities to the dysmorphia in these disorders some pregnant women experience. Some women become extremely anxious, distraught and depressed because of the weight gain and changes. This is normal. We live in a society obsessed and focused on ‘self-image’, especially body image for women. When it comes to being pregnant, this can up the ante for some women. Hypnosis can help alleviate these negative perceptions and help women feel better about their bodies. Since body image is ‘a state of mind’, hypnosis can help the unconscious mind get in a state of acceptance, of not only one’s body, but also the new circumstances affecting it. Hypnosis can foster increased feelings of self-esteem, self-worth, and a greater acceptance of one’s temporary body state, while diminishing anxiety or feelings of being depressed. Often times the ‘depressions’ associated with pregnancy (during and post-partum), are caused by the changing circumstances and hormones. Hypnosis has the ability to prevent, impede or at least help shift moods and control emotions. Hypnosis can be effective for aiding in childbirth and pain management. You see, hypnosis is an altered state of mind. Hypnosis leads to a heightened state of awareness in the individual. Individuals are able to shift their focus to specific qualities of an experience and hold them there. This means they can put their attention on things they want to think and feel, and avoid focusing on what they don’t want to, in this case birthing pains! When it comes to child birthing, hypnosis helps produce tunnel vision. Through tunnel vision, you’re able to isolate and intensify your focus on one key perception or experience. When you get to this point, you’re able to hold your concentration there. You only see, hear and feel what you choose to. Everything surrounding the experience gets blocked out, in this case, the pain of child birthing! Under hypnosis, the therapist gives post-hypnotic suggestions which will be used in the future, in this case… the delivery! Hypnosis is useful when the individual has effective triggers they can use and focus their attention on. Much like breathing techniques, individuals using post-hypnotic suggestions are able to block out the pain, put their focus completely on the positives of the child birth and in fact, keep their minds focused on the joys of the completed outcome – the birth. Hypnosis doesn’t eradicate the pain of birthing completely but allows you to cope better and remain in a calmer state during the more intense periods of the birth. To get a sense of what to expect read this account of the experience by three different women . If you’re thinking of having an all-natural child birth and anxious it might be uncomfortable and painful, look into hypnosis as an alternative or to compliment your birthing classes. Hypnosis can help people feel in control and possess great empowerment over all areas of their lives. After you’ve given birth, you still may feel the need to ‘work’ on things using hypnosis. It’s common for women whose given birth to want to try to lose the weight they’ve added, sooner rather than later. Furthermore, some new mothers have become caught up in the cycle of eating too much since becoming pregnant, or too much of the wrong kind of food. Some women have a difficult time breaking free from this eating cycle. Hypnosis can be a tool for helping with this weight loss. Just as hypnosis is effective with controlling caloric consumption and the quality of food before the birth, it can help with facilitating a mindset that’ll gravitate toward proper eating, exercise and weight loss post-pregnancy. When you’ve been eating a certain way for a period of time, in this case the 9 months leading up to the pregnancy, both the mind and brain become conditioned to eating a particular way. Furthermore, the body becomes use to the excess calories. One becomes ‘habituated’ to eating more. Sometimes these cycles and habits of eating need to be broken after the birth. Moods can also change after a woman gives birth. Some women experience bouts of extreme post-partum depression. Many new mothers also experience anxiety – fearing they may accidentally hurt their new born, or not do enough to keep it healthy. Hypnosis can be helpful in not only relieving anxiety, but also addressing post-partum depression, or at least minimizing it . 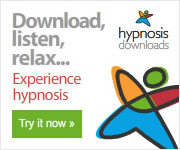 You see, hypnosis can be used for confidence building, as well as for relaxation. If you will, it can help ‘unburden’ new mothers of feeling inadequate. As I mentioned there are hypnotherapy practices that specialize in hypnobirthing. But these same places can provide help during all phases. Discuss with your medical doctor or specialist this option and usually they can provide a referral for you. Because it’s a common use of hypnosis these days then usually those in the medical field have more exposure to these services locally to you. If you’re also taking birthing classes then you can usually get a referral from the leader of the class as well. If you’re struggling to get a referral then do an online search yourself and interview a few over the phone to see what their experience is and if they can help with all the phases of pregnancy. Hypnosis is an excellent practice for pregnancies, during and after. Its credible and proven qualities can help make the whole experience of pregnancy and birthing and beyond a joyous time for a woman. Hypnosis is commonly used during the birthing process for a woman to aid with pain management and relaxation. This is known as hypnobirthing. However, because pregnancy covers a much longer period impacting the physical and mental well-being of the woman before and after birthing, hypnosis can provide help and support during all phases of her pregnancy. Hypnosis can provide support during pre-natal care involving maintaining physical comfort, controlling nutritious eating, and supporting emotional health. 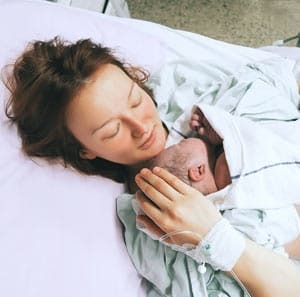 In addition, after birthing it can help in reducing post-partum depression and provide support in any anxious feelings you may have about caring for your new baby.